Every so often a video is circulated on Facebook or Twitter that shows the distressing removal of a child from its parents by police or social workers. Yesterday was one such day. The video in question came with no context to speak of, though it was clear the mother from whom the child was removed alleged abuse by an ex partner which it appeared had not been accepted by the court that ordered the removal. There is no judgment, nor really any narrative (probably just as well as that might have breached privacy rules). I don't know if the child was removed because of her refusal to allow contact to the ex, or if there was some other unconnected reason that the court thought her child had to be removed. I don't know if this mother and child were the victims of a miscarriage of justice, or whether allegations were made that could not be proved or were proved false. I don't know why this child was removed or what the risks were. Maybe it was a necessary decision and maybe not. I don't know if an appeal has been pursued or is pending. What I do now know however - as a result of this mother's action - is the name of the child, the local authority involved, the region the child lived in, and what she looks like. People in her local community may know her or may recognise the adults. They may know who her other parent or the ex partner is and think (rightly or wrongly) that this person is domestically abusive. They may confront the person now caring for her with the approval of the court, causing her distress and disruption. Maybe this child should never have been taken, and maybe she needs desperately to be returned home. But if that is the case this video doesn't evidence it. And nor will it help this mother to make her case. What it might do is reduce the chances of her being able to progress her contact, or to see her child unsupervised. it might get her into difficulty with the court because of breaches of the privacy rules that attach to court cases about children. I understand why an increasing number of parents turn to social media to vent, to seek support and to campaign about the injustices they feel they have experienced, I understand on a human level why this seems like a good idea to those in pain and desperation, especially where trust in the system has broken down. But I worry these parents will only be making things harder for themselves and their children in the long run. Judges do not overturn their decisions (and nor do appeal courts overturn those of lower judges) because of a video being shared on social media. They overturn decisions or change orders for two reasons : somebody demonstrates using evidence and law through the proper channels that the decision was wrong in the first place, or something changes that means a decision that was right at the time needs to be updated. Campaigns like this serve two entirely different purposes : they make people in pain feel better (at least in the short term), and they might (in rare cases) bring about a change for future cases (but probably not in a way that will help the specific parent or child in question). It’s important to say that such videos are always upsetting to watch. Removals are always difficult, whether they are necessary and skilfully handled, or unjustified and botched. Children love and are attached to their parents, even those whose parents are sometimes frightening, neglectful or abusive. Even abused children cry when they are taken away by strangers and when they see the distress of their parent. And of course sometimes children have to be taken temporarily away from a parent for their own protection whilst an investigation is carried out - and it may later be shown that the parent has never harmed the child at all. I do watch these videos from time to time, because I think it's important to be in touch with the reality and consequences of a court order on a piece of paper, of what happens outside the courtroom. And because if removals are being carried out inappropriately, well I just want to know. It's in the nature of this sort of event that people only switch on their phone to record part way through, or only circulate a clip of the most distressing part of a removal. It is very difficult to tell whether what has gone before has contributed to the distress we see playing out - and that might be inappropriate remarks or behaviour by the taking professionals, or things said by a parent which have the intent or effect of increasing the emotional temperature and turning a removal into a standoff, or which give a very clear signal to the child. Such signals to a younger child might simply make them fearful and audibly upset, and in an older child might prompt acting our or active resistance. Some children are taught by their parents from early on to fear social workers and police. Sometimes a situation becomes drawn out and upsetting and an impasse develops and those responsible for taking the child elsewhere have to take steps to bring the situation to an end safely, if not happily. Those of us watching the clips later have no idea of the risks that the social workers or police officers are trying to protect the child from. How do we weigh the wrongness of those immediate heart wrenching cries and wails against an unknown risk of harm? When people hold pre-existing doubts about social workers, about the family courts or about the justice system generally, the answer can seem - in the moment - obvious. But whatever the failures of courts and social workers are, it is undoubtedly true that some parents harm their children, and some of those children desperately need to be taken somewhere safe. How do we know whether this is one of those situations? I've been working in this field for sixteen years, sometimes representing parents and sometimes children and sometimes social services. Some attempts at removal seem justified, some over zealous. Some are allowed, whilst others are rejected or avoided when we put a Plan B in place. In those sixteen years I have read about and heard about interventions by social workers and police which have been badly handled, bullying and cack handed, but I have also represented clients who are able to appreciate that if their child is going to be removed they are the person who can make that manageable for the child by packing their favourite things, by saying goodbye calmly and by reassuring them. Those parents are brave indeed. I should also say that whilst I have met social workers who have given real thought to how a removal should be best achieved to minimise the upset for all concerned, it is probably fair to say that often the focus is (necessarily) on whether or not the court will permit removal, which then takes place in a rushed way at the end of a court / school day with limited time for packing, planning, calming. I've also spoken to social workers distraught by the reality of their first removal. It is not a job that they relish even if they hold a strong view that the safety of a child makes it necessary. I don't think either social workers or police officers get sufficient training in this area, and suspect that often the drive to get in and get out without compromising the physical safety of anyone involved overrides more subtle considerations. Those of us who are parents also know that a child's distress in the moment can be viscerally upsetting and extreme - but over in five minutes. Any parent who has done those difficult nursery drop offs or contact handovers knows that transition can be upsetting for little ones and it is so, so hard to leave them and to let them go because it feels so cruel. I don't underplay the very real distress and harm that removal itself can cause, but it is perhaps sensible not to over interpret tears and crying at the point of removal. So, for all sorts of reasons, when we see these videos on the internet there is huge potential for misunderstanding, outrage and harm. What has upset me most about this particular video being shared is not the mother's (unwise but understandable) decision to publish it - but the decision by a prominent public figure involved in the justice system to retweet it, apparently without any investigation of the background facts or the status of any proceedings (and thus the applicable law) on the basis it 'looks like an example' of how courts 'collude' with abusers. This person's click has validated the mother's tweet and emboldened far more people to distribute it more widely. If this mother, who has enough pressure upon her already, has inadvertently (or even knowingly) broken privacy rules and laws, this public figure has made the consequences of her error that much worse. Because the breach of privacy involved is now far more extensive - and it is far more likely that the named local authority will become aware of this emerging campaign and take action to prevent wider dissemination and protect the child and carer from unwanted attention from the public or media. I can tell you for sure that no lawyer representing a parent seeking more or unsupervised contact with their removed child wants this as a backdrop to their application. It's also worth saying that the unnamed 'abuser' in the background here might be a very nasty piece of work who represents an ongoing risk to the child (which for some reason the family court hasn't appreciated), OR they might themselves be a victim of inaccurate or false reports of their behaviour and personality. That person might now be very worried about how to protect themselves and the child in their care. Whether this public figure was motivated by a wish to help this particular mother or by a wish to use her case as a springboard for reform around the wider issue of how the Family Court deals with domestic abuse (both legitimate aims), she would have been far better able to advance those causes had she first checked out the case and the restrictions that might apply to it in private - and thought a little bit about whether it was helpful to circulate a video of an identifiable child, who is on any basis caught up in some sort of conflict and potentially a victim of either domestic or emotional abuse. For any person whose role centres around victims (as this person's does), it seems a good idea to think about who the victims really are before hitting that button. Whilst I don't know enough about the case to know which particular provisions apply to the publication of information about this child, it is worth saying that retweets of the original video or accompanying messages are potentially a contempt of court or a criminal offence. Something that most people seem oblivious to or don't care much about. Whoever the real victims are here (and the child is obviously one of them), promoting trial by social media is not a reliable way of protecting them. For obvious reasons I'm not naming or linking to anyone involved in this. The prominent person who retweeted the video has not responded to queries as to their prior research, and at the time of writing the video and the retweet remain. The mother has blocked me, but I hope very much she gets some legal advice. If something has gone wrong here (and even if it hasn't) she needs some advice to help her think through her realistic options. I'm not able to accept any comments that attempt to argue or advance the specific facts of this case or identify those involved. In you usual inimitable style you have written a very measured, reasonable and responsible piece about this incident, which is in effect an appeal to parents for controlled moderation in such situations. All well and good. I consider myself a self controlled, reasonable and responsible and law abiding person who believes in moderation in all things and that is how I live my daily life. But if faced with having my baby or child forcibly removed from me I would be distraught. I would literally be out of my mind with pain and fear. And what I would not be any longer, is reasonable and self controlled. I would not be operating out of my prefrontal cortext evaluating my behavour and its consequences. I’d be operating from my amygdala and I doubt I’d even hear let alone register any appeal to moderation. For any professional in ANY profession to expect otherwise from a parent in such a situation, shows at best a naivitee of expectation and at worst a callous disregard for the reality of that parent’s experience. Whilst any professional expressing empathy could be discerned to be understanding, it is an understanding which is in a similar vein to a person who has never been pregnant and given birth, saying I understand what it’s like, whereas in reality until one has been pregnant oneself and given birth, one really has not got a clue what it’s like even though one may have convinced oneself that one has. Be you a well meaning barrister, social worker, judge or whatever, till you have had your child forceably taken from you then you really have no idea what it is like. And THAT is the mistake that all professionals make in their dealings and interactions with parents going through this scenario. I am someone who has been on both sides of the fence. I worked for 7 years in child protection, and when I did, like all the professionals, I thought we had it ‘right’, that we did it the ‘best’ way. Quess what, I was wrong. That’s what my own personal experience of family court taught me. The experience also taught me something I would never ever previously have believed – social workers do lie, in reports and in person in court. And that is how I know the difference between what professionals think and what parents think. Been there, done that, got the T shirt. And got the complaints upheld against children’s services to prove I haven’t faked the T shirt. I certainly don’t suggest that I can fully appreciate something that I haven’t directly experienced. But as a mother I am very conscious that my children have not been taken from me and think about what that might feel like a lot. I don’t think I’m naive. In spite of their pain many of my clients are able to listen to and act upon advice, knowing that they have to be calm and patient in order to secure the return of their children, rather than acting from the heart or on instinct. But you are right sometimes and for some parents common sense is impossible to hear. Which is why the focus of my criticism was on the retweeting professional rather than the mother herself. I wasn’t criticising you Lucy. I’d be the last person to do that! I appreciate and am grateful for the fact that professionals like yourself are coming at the whole FC problem with a genuine heartfelt sincerity and an often burning desire to see true justice done. I was one of you. But it is completely unrealistic, even cruel to expect any distraught and grieving parent to be able to deal with such situations in a logical and reasonable manner. It took me every ounce of willpower, past professional experience, training and extensive education to be able to stay within the bounds of ‘resonable and responsible’ at times. I already had all those strengths and groundwork in place, but 99.9% of parents facing losing their child do not have those emotional and psychological resources, nor do they have the education, training or finances. Quite frankly I am suprised that more parents do not ‘lose it’ and go completely off the wall. Lets not forget that there is no counselling or other psychological support offered by the system to any parent going through the family court process, and when ppl like myself and barrister Natasha Phillips find it so extremely harrowing and so difficlut to deal with, I think it is the height of arrogance and callousness to expect a parent to be able to deal with the situation in a completely rational and responsible manner whilst being left to flounder through it without such support knowing the odds are stacked against them. And stacked against them they are. Sadly it is true that there are children who do need removing from their parents, but that doesn’t automatically mean that they don’t experience the pain, the grief, the anger, or that because they have been poor parents, then they brought it all on themselves and deserve it. Even now, some years later, and although we kept our child, I still feel that pain, grief and sometimes rage, that a system I was a part of, and believed was there to help the most vulnerable, could be so flawed. And I am angry and disappointed with myself that I couldn’t see that whilst I was part of it. And ashamed that I did not believe what may well have been the truth when some parents were telling me it. Ashamed that I had been blinded and to some extent brainwashed by the system. Ashamed of my own ‘where’s there’s smoke they MUST be fire’ mentality. I have to live with that. And now I know better. I fully understand why parents abscond with their child, why they go public. I have felt the same way, felt the same temptations. It’s sheer desperation, it’s the end of the tether feeling you get when you realise how much the odds are stacked against you even when you are in fact innocent and all you are desperate to do is protect your child from an impending miscarriage of justice. Whilst the standards of evidence remain ‘on the balance of probabilty’ then parents are NOT getting justice in the family court, and, even worse, neither are all children. And whilst SWs who do commit proven perjury continue to be allowed by the judiciary in the FC to get away with it, then what chance do parents stand? This is what fuels parental desperation, and fuelled my own. The system is deeply deeply flawed. How on earth for example do you prove you’re innocent when false allegations are made against you?? Even murderers have more legal rights than a parent in the FC process. The FC MUST have the same evidential standards as the criminal court. And, like the police, SW must be required to wear body cams in all interactions with parents and with children. Only then will justice for children be served in the FC. And, be seen to be done. Only then will the children truly be protected and their best interests indded be served. Until such time, it should be expected that some parents struggle with containing their grief and anger and want to draw attention to the injustices to children which abound in the FC. I don’t disagree with the thrust of what you say at all. One question though that your comment made me think about : some, like you, call for the standard of proof to be higher. How do we square that with the complaints from women / victims (like the one in the video) that they are not listened to (because implicitly the standard of proof is too high – or at any rate presumably they would find it even harder to be heard if they had to prove to the criminal standard). I don’t know the answer. Tough one though, isn’t it? I hear what you are saying about the issue of evidence Lucy. But vaild and equitable evidence being presented by women now is ALREADY being disregarded by judges! Working in the criminal justice service, I was trained it’s all about evidence evidence evidence. We did not say or allege anything in our 16 hearings which I could not evidence. We had copies of multiple police reports regarding the dv for example. I did multiple data protection requestions to SS, to our GP, to the NHS including health visitor and midwife records. I examined and cross referenced everything, including what was missing which shouldnt have been. Not many mothers could do that, would even know how to start and so would in that sense be handicapped. But my point is – the judical disregard of the actual evidence was staggering! All the judges cared/care about what was the SWs put in their s37, s47 and then s7. And they DIDN’T care that we had actual evidence that some of that was lies. At the moment, when it comes to meeting or even exceeding current evidence standards it seems not to be of much consequence to judges anyway. The low bar standard of ‘on the balance of probabliites’ seems to be encouraging a culture which I see as an abdication of responsibilities by the FC judiciary, perhaps unintentionally, but promoted and sustained by the lack of accountability and transparency within FC, it’s more expedient – cheaper and quicker – to believe what a SW says, and that is taken as gospel. [edited] To me it is morally reprehensible that judges do not want to look at evidence which shows that a SW is lying in their assessment of a child in a live case they are ajudicating on. And it is an unexcusable abdication of responsibily. I believe that until the standards of evidence are equal with the criminal courts, then true justice for children in the FC is a lost cause. If you are accused in the criminal court of harm to a child you are innocent until proven guilty by virtue of evidence needing to be ‘beyond reasonable doubt’. WHY oh WHY when accused of the same offence in a FC court is it any different? Especially when the consequences are that you can lose you child to adoption, and subsequent children even at birth, because of the ‘crystal ball’ method of ‘possibility of possible future emotional or psychological harm’. Seriously??? My opinions on what changes are needed in the CP and FC system are not simply based on my experience of having had to deal with it personally. They’re also formed from my experience of being a nurse including children and mental health nursing when I was younger, followed by 6 years F/T in Uni and 3 years as a teacher before moving into the criminal justice system, and 5 years working as a Samaritan volunteer along the way. From the age of 18 I’ve been cutting my wisdom teeth on child health and welfare, mental health issues, and DV and sexual abuse issues. Before I even started my degree I did a full time 2 year diploma in psychology focusing as much as I could on child development and psychology. My opinions are well informed – academically and practically. I have insight, a lot of insight, about a lot if not all the issues which arise from CP. As for women or men having trouble meeting evidence standards at any level, it’s improving. The police are now supposed to be wearing body cams on all DV callouts. And legal aid has got better again. We are all sharing our skills and knowledge also. As it is now, FC is harming so many children. And it’s not just the possible loss of a child through a public law exercise in ‘child protection’. Children are being forced into ongoing contact with abusers, even ones who’ve abused them sexually. And mothers are being forced to be complict in this. Having to cajole children who don’t want to go to contact to go, because if the ex starts screaming parental alienation then they might end up back in court, accused of emotionally or psychologically damaging their child and have that child taken away from them. That’s the reality of FC decisions for many children in contested private law cases. Mothers being damned if they do and damned if they don’t. Mothers sending children to contact knowing they are suffering emotional and psychological, if not actual physical abuse because that is the lesser of the evils facing the child and mother. And the children growing up no longer trusting anyone and the govt is concerned at the growing incidence of self harm even amongst primary age kids?! All this harm to children, to generations of the same families, is being done by the lack of accountability and transparency and low standards of evidence in the FC, and… laughably… in the name of protecting children from the adverse effects of publicity! Much MUCH MUCH worse harm is being done to our children because of this secret system. This is why parents get so enraged. Even me, still. We HAVE to change the system. I am much heartened by the fact that we are now getting a generation of mothers who having been embroiled in the FC system, have completed or are currently studying for law degrees. We WILL change the system, because we are becoming a part of it. Oft-times it will be too late for our own children, but not for others, or our children’s children. So me’Luds, if you are reading and have got this far, this is what you need to know. Be a part of the change or resist it and know that you have and will continue to condemn many children to un-necessary and ongoing suffering. And be that on your conscience. As always the decision is yours me’Lud. (BTW, if us mothers thought thought we would be at a further disadvantage by upping the evidence stands, we wouldn’t be shouting so hard for it. We’re already so disadvantaged by the existing system, that nothing else could be any worse anyway). have lightly edited some of your comment for legal reasons. hopefully it still makes sense. Excellent post, which really outlines all the long term usually negative consequences of this type of sharing of personal information. Although careful thought about the feelings of parents and social workers involved. Removal is rarely pleasant and despite what some campaigners say social workers don’t enjoy it. It might be about time for you solicitors and barristers protest and strike over the absurdly antiquated laws in this country and the barbaric treatment of children in this country. Instead of complaining about it, why don’t you do something about it? After all, you are the people that can make changes. not sure which laws you are complaining about in particular Pedro, but striking by lawyers is unlikely to be the most effective means of reform. 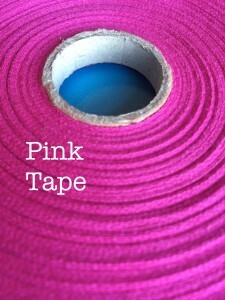 I agree with Pinktape. With our current experience of social media, isn’t it surprising that both public figures and professionals are drawn to comment and publish views without undertaking the most basic of checks. It is particularly insidious when the comment is made by someone not directly involved in the process (as occurred with Peter Hain and Philip Green). Due legal process may at times be flawed, but contains a number of safeguards, and is frankly as good as it gets. It is not enhanced by the emotional publication of under or ill-informed opinion. It’s screams volumes to me when an up standing member of the community with references, evidence and supporters who are also highly regarded members of society who can advocate as such, takes a drastic measure of having to publicly ask for help. This tells me that the ‘proper’ channels do not work. There are some serious flaws in the family court system and ones that would be avoided if so called professionals were held accountable for their actions and their was actual transparency with a governing body. The secrecy cloaked as child protection is a load of rubbish in my view. Of course there will be cases that need to have a level of confidentiality and surely this can be applied on Case basis. However I ask where do you go if you are wronged in a system with no recourse?! You mentioned that a judge rarely goes back on a judgement… well considering this could be made with false information or be an injustice…. how can this actually be justice?! There must be the ability to ask for a follow up and I don’t mean an appeal with the SAME judge and the same professionals with the ability to fabricate evidence. It’s a very unfair and secret institution and in this day and age these practices should be abolished. Court is a place for criminals not broken families. They need support not more animosity. It’s a cold cold place. More and more of these cases are coming to light and I applaud it. Most give up and lose their children and live a life of misery. Who knows how everyone could flourish if SUPPORT was given as opposed to the full force of the law in a delicate family situation. A few of these videos have made the ‘headlines’ in New Zealand in recent years, as Ms Pink Tape correctly points out very emotive and not surprisingly, not well received by those with an agenda. On the occasions when this sort of thing has been ordered by the courts, the parents are unlikely to let this happen in a way that would do the least harm to the child. Anyone remember those australian / italian children?? ?